Hey there friends! Welcome to Thinking Out Loud Thursday! What are you doing, reading, enjoying in your life? Hope you link up below and share what's on your mind today. So, for the past month I've been picking apart the five coaching tips Rachel Hollis shared at the back end of her movie Made for More. Super good news this week - the Made for More movie is now available for free if you're an Amazon Prime member! And if you're not a Prime member, you can view it for around 5 buck. Holy cow - that's a deal! This 90-minute documentary will leave you charged and ready to take on the world. 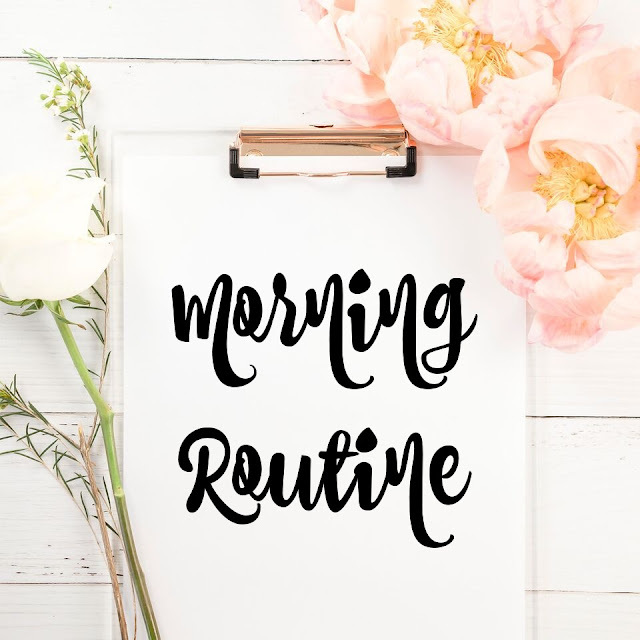 The element I'm looking at today is Rachel's fourth point - your morning routine. She talks about how important it is to start your day strong. Be intentional on how you start your morning. I'm going to be honest - some days I feel like a rock star as I'm heading out the door for work. I have a healthy lunch in my bag, my jewelry matches my outfit and I've just finished listening to an awesome podcast. I'm ready to face the day with confidence. And then there's the other days. I went to bed too late and I'm dragging myself out of bed in the morning. I stand in my closet just staring at the clothes hoping something will literally remove itself from the hanger and put itself on my body. All my favorite underwear are dirty and I have no clue where I put my cell phone. As I'm rushing out the door, I forget my lunch on the island. It's when I start my car that I remember I should have gotten gas yesterday. Please tell me I'm not the only one that has mornings like this! And I don't even have kids at home to deal with! When I sit back and look at the difference between the two types of mornings, the difference is all in the planning. If I take just a little bit of time the night before getting my lunch ready and choosing my outfit for the following day, there is a noticeable difference in how my morning goes. Are you with me on this? Having planned my morning the night before, I head off to work less frazzled, more at peace and with a much clearer mind. As I'm sitting here typing this reflecting on the stark difference between the mornings I plan the night before and the ones I don't, I'm trying to pinpoint why I don't do a better job on the planning side. Bottom line -- there isn't a good reason. I just flat out need to do better! Definitely a goal moving forward. There are a few things that happen in my morning routine regardless of my planning the night before. One is taking my vitamins. 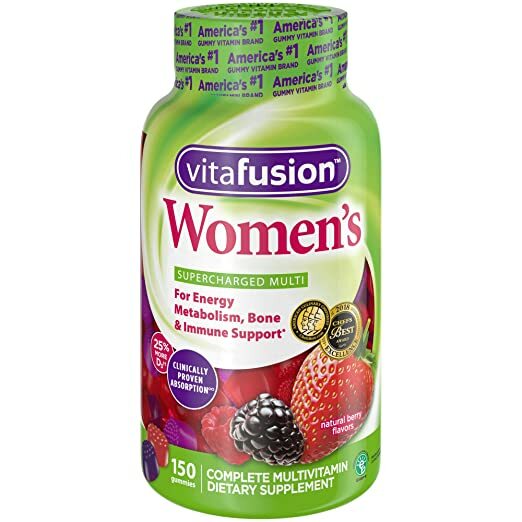 A few years ago I was chatting with a group of friends and one mentioned how much better she felt after she started taking daily vitamins. Others chimed in that they noticed a difference also when they started taking vitamins. The very next day, I ordered vitamins and haven't looked back! I've also added a vitamin D supplement. During one of my physicals, they discovered I was extremely low on vitamin D. I was pretty surprised because I love being in the sun and figured I was getting all the D I would need from that. Have you had a blood test to find out where your levels are? Things linked to vitamin D deficiency include osteoporosis, heart disease, diabetes, autoimmune diseases, high blood pressure, and poor pregnancy outcomes. For goodness sake friends - make sure you're getting enough vitamin D! What are some things you do in the morning to get your day off to a great start? Would love to hear your wins! Now it's your turn. Link up and share what your thinking out loud about today. I have mornings like that, the frazzled kind where it seems like I can’t stay on top of anything and life is just falling apart/ I was doing really well with morning meditation for a while but sadly I haven’t been keeping up with it. Also daily vitamins make a HUGE difference! I hate to admit I have more frazzled mornings than not. I try to get stuff done the night before but sometimes it isn't enough! I have started working on my mornings to try and make them better though! I should be doing vitamins too. Especially that vitamin D! I started taking a multivitamin & vitamin d supplements a year ago (because I know I don't get out in the sun much); I can't say I feel a huge improvement but I figure it can't hurt. Such a great point. Planning is definitely key. I did not plan this morning, and was running late. I then, of course, forgot my purse, so now I'm back home. Time to start over!